Egypt plans to add power capacity to the national grid but that will take years. In the meantime, your ice is melting, your air conditioners are off and you are missing your favourite shows on TV. A solution to all of these problems, and more, can be found by installing a small domestic generator in your villa or apartment. Units small enough to fit in a corner of your balcony or patio are now easily available and more affordable than ever. As recently as a few years ago, the idea of owning a generator in Egypt seemed extravagant and unnecessary. But now, living without electricity most days is all too common. 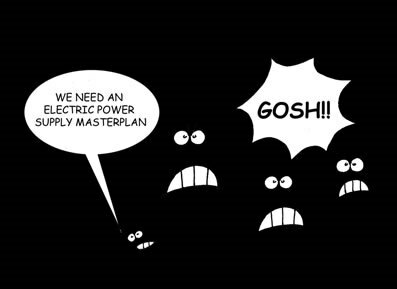 Most of us just don’t want to ride out another power cut. It is a waste of our time, keeps us awake at night, causes stress, interrupts plans and impacts all aspects of our lives. In my case it means spending more time in my local pub with a cold beer. It has a generator to power the lights and fridges. At least that is my excuse. Anyway – I digress…. Sound familiar? I thought so. I have said similar too. More and more people have decided that they simply don’t want to put up with another electricity outage. Instead, people are installing standby generators at home in record numbers – my friend is one of them. What do the electricity terms mean? You will hear a lot about watts, volts and amps. Don’t be intimidated. A quick search on Google will help you distinguish one from the other but again – get in touch – I can help. Think about your budget and what you want to run. 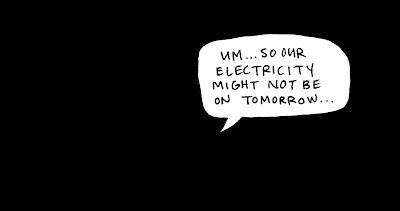 First, you need to decide if you want to power your air conditioner during a blackout. In Egypt, life can be miserable during a sweltering summer power cut. Are you willing to substitute your air conditioner with a fan? If so, this will lower your power needs and could save you some cash. If you do want to run your air conditioners, you must size the unit correctly. ACs generally have a high power consumption. To size your air conditioner, simply take a good look at its metal data plate. It will tell you the wattage required to run it. This is very important. Compare power outputs, run times, fuel consumption and prices, as well as what’s included in those prices, such as warranties, support and installation. Generators run on diesel, petrol or natural gas. Generator pricing covers a wide range so determining exactly what you need vs what you want to spend in important. Selecting a home system is simple. You’re buying a generator to replace the electricity lost from the electricity company. Think about your power panel at home – you might call it a fuse box or breaker board. These switches rule the maximum amount of electricity your home can consume. Let’s be honest. You’re never using all of the electricity you have access to. Your consumption is lower than you think. So do you really need a massive generator? In most cases, no. You don’t use that much electricity in the first place. Instead, simply decide how much of your electrical panel that you want to energize. This means decide which areas of your house are most important for your comfort. So think about what you really need. Lights in the living room, kitchen and bathroom perhaps? ACs or fans to keep you cool will always be good right? Fridge/freezer to keep your imported pork perfect perhaps? You don’t need to run your whole house. You can survive without a washing machine, dishwasher or microwave for example. But perhaps you can survive without your hairdryer, hifi or games console. Whatever your needs are. I am here to help. As I said at the beginning – it isn’t as daunting or as expensive as you may think.